From Narwhal whales to green sea turtles, countless marine animals are in trouble. The oceans provide food, play a vital role in regulating the earth’s climate and are essential to global commerce. The United Nations Global Goal 14 calls on countries to protect the oceans from further degradation. You can take action on this issue here. As wildfires burn to new heights, hurricanes swell to monstrous sizes, and droughts strip previously verdant landscapes of life, climate change sometimes seems like it’s only happening on land. But it’s the oceans that are undergoing the most dramatic changes, even if their fate is largely out of sight. In fact, the oceans have absorbed 93% of the excess heat caused by greenhouse gas emissions, and it was recently discovered that the oceans have taken in 60% more heat than was previously thought. The oceans also act as carbon sinks, absorbing around 26% of the carbon dioxide released into the atmosphere by human activities. As this excess carbon dissolves, it causes ocean waters to change pH levels and acidify, becoming harsher for sea creatures in the process. And it’s not just climate change that’s turning thriving aquatic ecosystems into barren habitats, either. Plastic pollution has reached the most remote oceans, industrial pollution releases a steady flow of heavy toxins into waterways, noise pollution drives some animals to suicide, and overfishing raids fish and other animal populations. These are just some of the problems facing underwater animals. For the thousands of species living in the oceans, unique threats crop up all the time and drive animals closer to extinction. Here are five animals that have become threatened in recent years, and the main force that is threatening them. With a harpoon-like tooth jutting out of their heads, Narwhal whales kind of look like aquatic unicorns. And like unicorns, they could one day become the stuff of fantasy. Narwhals live in Arctic waters and spend up to five months a year under ice, where they hunt for fish and come up for air in between cracks that emerge above. As Arctic ice melt accelerates, fishing and other vessels are entering their feeding grounds and capturing large amounts of fish, diminishing the Narwhals food supply. These boats are also filling Arctic waters with unprecedented levels of noise pollution, which causes extreme stress in the animals. Further, orca whales are swimming farther North to take advantage of the warmer waters and have begun hunting Narwhals in greater numbers for longer periods of the year. 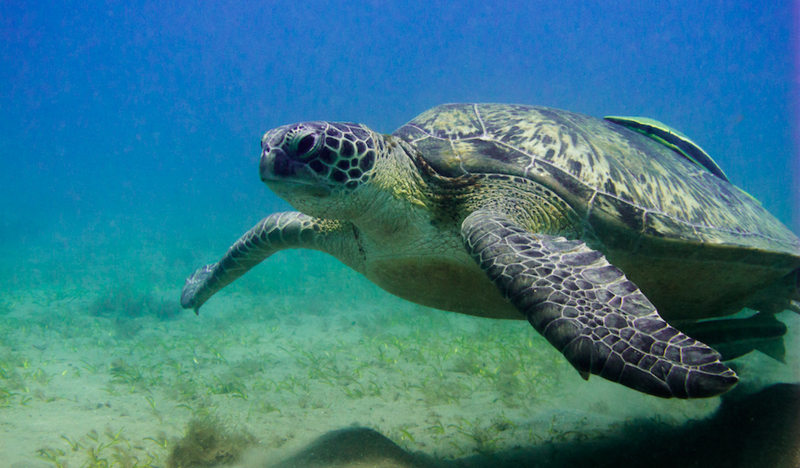 Green sea turtles can live up to 80 years in the wild, swimming from island to island, and grazing on seaweed and algae. In recent years, however, the life expectancy of these turles has sharply dropped because of fishing bycatch, plastic pollution, egg harvesting, and a declining habitat. As fishing vessels drop massive trawling nets into the water, much more than the intended catch gets ensnared. Hundreds of thousands of turtles die each year after becoming ensnared in fishing nets. Plastic pollution, which fills the oceans at a rate of up to 13 million tons per year, is another threat to these turtles. A recent study found that accidentally ingesting a piece causes a turtle to become 20% more likely to die. On shore, turtle eggs are being harvested for human consumption at dangerous rates, and egg-laying habitats are disappearing as humans take over more coastlines around the world. Last year, a Chinese fishing vessel was detained near the Galapagos Islands, a marine sanctuary off-limits to human activity, and Ecuadorian authorities found more than 6,600 sharks on board. The sharks were likely destined to be used for shark fin soup, a delicacy served primarily in China and Vietnam. 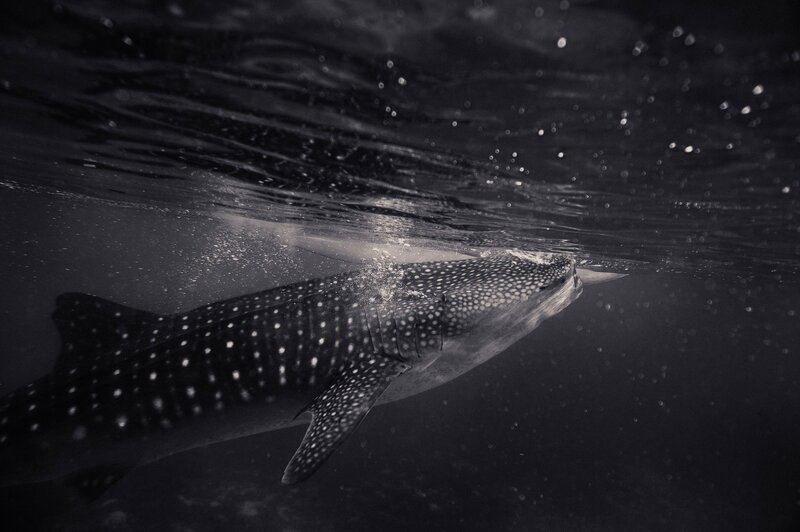 Demand for the soup has brought some shark species close to extinction, including the whale shark. In the past several decades, some shark populations have declined by an estimated 95% as part of a global annual catch of up to 100 million sharks. As tiny as they are, krill are foundational to marine food chains, providing a crucial source of nutrients for a variety of species. Krill live in Antarctic waters, where they take advantage of ice cover in colder months to scavenge food and grow in a protected area. As ice melt increases in the region, krill habitats are diminishing and some populations are dropping by as much as 80%. Krill are also threatened by fishing vessels that are moving into the region that want to catch large quantities of krill to use as animal feed. Greenpeace and other environmental groups are currently working to enact a global moratorium on the fishing of krill in newly opened waters. If krill disappeared, it would cause devastating chain reactions throughout marine ecosystems. 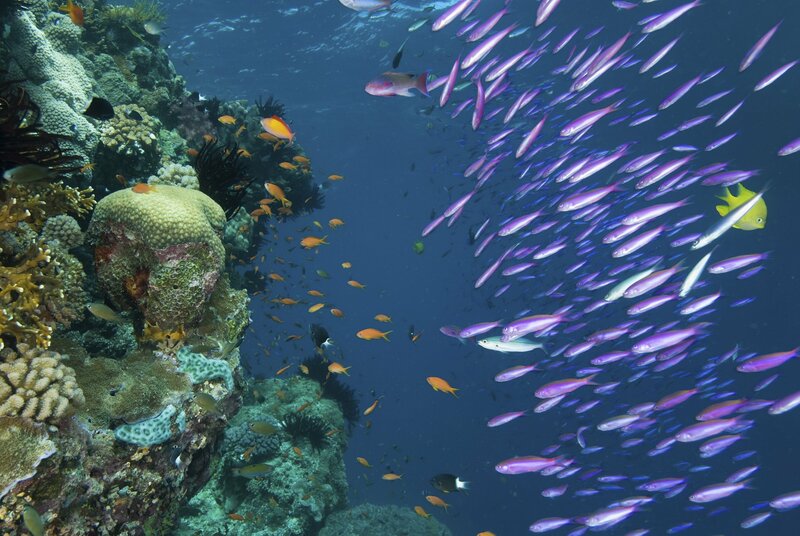 Coral reefs are visually dazzling structures that happen to foster some of the most vibrant ecosystems in the oceans. Thousands of species from fish to turtles to algae depend on coral reef for sustenance and protection. As greenhouse gas emissions continue to drive up global temperatures, oceans are absorbing most of the excess heat, which causes marine heat waves harmful to coral. When ocean temperatures rise two degrees Celsius above normal, coral are at risk of undergoing a potentially fatal phenomenon called bleaching. Bleaching happens when hot temperatures shock coral and cause it to expel the symbiotic organisms that give it color and nutrients, turning the organism bone white. Coral reefs can generally recover from isolated bleaching events, but when they happen in successive years, they become fatal. And that’s what is happening. By mid century, all of the world’s coral could be destroyed.